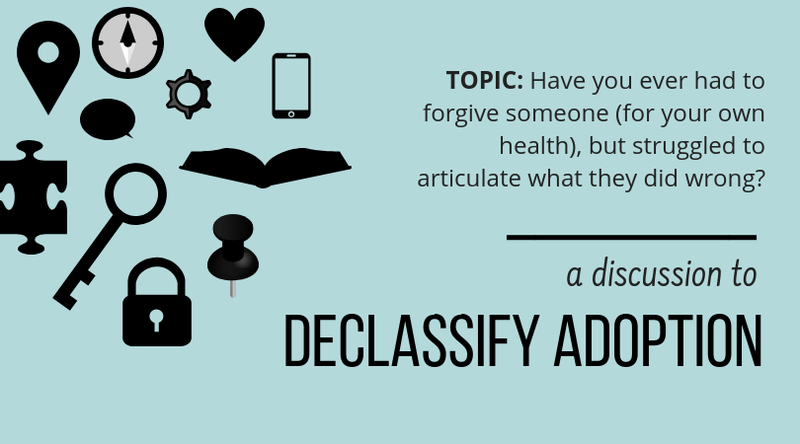 The Declassified Adoptee: NASW Media Awards: What Adoption Community Social Workers Would You Want to See on the List? 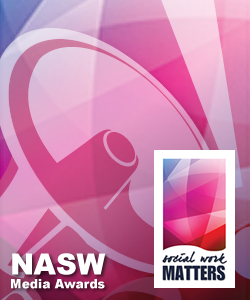 NASW Media Awards: What Adoption Community Social Workers Would You Want to See on the List? "NASW invites you to nominate newspaper articles, newspaper columns, magazine stories, websites, blogs, radio segments, television news programs, TV entertainment shows, TV reality shows, commercial films and documentaries that you think best portrayed the social work profession in 2012"
You'll notice that quite a few winners from last year had a connection with adoption or foster care in what they were nominated for. As we all know, there are so many adoptee social workers who write, blog, and create other media that reflects the knowledge, skills, and values of the social work profession--not just in adoption and foster care but other areas of social justice as well. You'll also notice that the winners from last year either (1) did something to dispel a social work stereotype in media or (2) portrayed social work well by put social work core values into practice in the public eye. So wait a minute, don't our fellow adoptee/original parents/adoptive parent social worker friends and allies in the bloggosphere do this every single day? JaeRan is an adopted person. She is a researcher, a scholar, writer, PhD candidate, and activist. She is also one of the most social justice minded social workers that I know. JaeRan has exuded a vital sense of empowerment and courage into the adoption community and is a source of inspiration to many. JaeRan is part of the reason why Declassified Adoptee is an active blog today and wasn't left to the wayside years ago when I was feeling discouraged. JaeRan writes her empowering posts at her namesake blog and is also re-vamping her famous adoption blog, Harlow's Monkey. Martha is a sibling of an adult adoptee, an adoptive parent, and a psychotherapist. I doubt there's any person who has come into contact with her blog that hasn't been touched or received comfort as a result. Martha wonderfully connects the knowledge, skills, and values of social workers to the mental health field. She writes at her blog, What a Shrink Thinks. Her Demigods on Eggshells post is one of my favorites to date. The blogger at The Anywhere but Here Girl, who goes by "Katydid," is a Master level social worker and PhD candidate, and daughter of an adoptee. Her blog is a testimony to the skill of "conscious use of self." Her openness and honesty bring a sense of peace and empowerment to readers. I particularly loved her post here. Joy is an adopted person and powerful social worker who embodies the gifts of mercy and peacemaking. I have been able to work with Joy (as well as Kripa and JaeRan) with a newly formed group called the APRC. Joy's unique gifts strengthens one of the APRC's core goals, which is to reach out to other adoption stakeholders for the purpose of discourse. 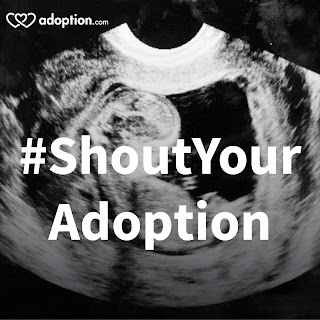 I love Joy's blog, Adoption Echoes. One of her recent posts, A Perfect Storm, captures her peaceful spirit perfectly for me. Kripa is an adopted person, an educator, and researcher. She is a powerhouse for macro and meta-macro work through her leadership, research and advocacy with everything she does being touched by her gentle and inspiring spirit. Kripa's interview at Land of Gazillion Adoptees gave me hope, someday, that I could tackle the task of doctoral candidacy. You can read her inspiring messages on her Facebook page. Katja is an original mother and a PhD candidate. 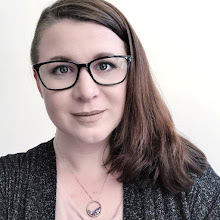 She writes at her blog, Therapy is Expensive, but Blogging is Free, about living the life of a mother in adoption and navigating the professional world as a social worker. Katja's honest and direct nature is a powerful portrayal of these two worlds in which she lives. Katja empowers me particularly in the discussion of adoption, social justice, child welfare and feminism. Her post here points out perfectly the disconnect in the abortion argument, and this post about identifying coercion in adoption practice shows the intersection of social work skills and values. Pam is an adopted person, a clinical social worker in training, and a psychotherapist. Pam's empathetic approach to the discussion of adoption is both warm and genuine. In the short time I have known her, I have benefited greatly from her openness and encouraging attitude. Pam's most recent lost at Lost Daughters brought tears to my eyes and confirmed for me just how valuable meaningful and positive interaction is for human beings. One challenge that I will point out with this award is that for the blogging section, it is very hard to pick just one blog post on a blog. Most blogs, in my experience, are most powerful when their individual posts are viewed within the context of the overall blog. It appears on the form that, for bloggers, individual posts must be nominated. Perhaps that is something I will give them feedback about for next year. Feel free to chime in and/or add your favorite social worker in the comments section.